A national body for trans and intersex police officers will be officially launched and recognised by the police service in March. The National Trans Police Association (NTPA) has been running for two years but will be able to apply for state funding once it becomes officially recognised by the UK police service. Chairwoman Stephenie Robinson said: ‘’We are very excited that we are now going to be officially recognised by both the UK police service and the wider transgender community in the UK. “It has taken us two years to reach this point, and a lot of hard work and struggle. But possible funding for the group has already been attacked as a waste of taxpyayers’ money. Matthew Elliott, of campaign group the TaxPayers’ Alliance, told the Daily Express last night: “The police force should welcome people of every gender, sexuality, creed and race. “However, they should be united in the fight against crime, not divided into competing politically correct campaign groups. As yet, the NTPA has not been granted funding in the same way that other bodies such as the Gay Police Association are. However, press officer Martha Hand said the NTPA would be seeking funding in April. A spokeswoman from the Association of Police Chief Officers (ACPO) told PinkNews.co.uk: “A police service which reflects our society is vital to increasing the confidence that all communities can have in it. 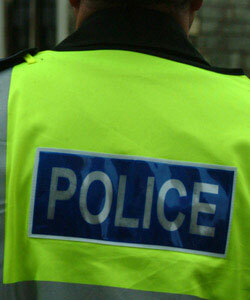 The group is to be launched at Bramshill police staff college in Hook, North Hampshire, on March 17th. Robinson said the launch could feature a few “high-profile figures”.